This week, my guest is Jessica Pack from Pack Woman Tech. Jessica is also the 2014 California Teacher of the Year. I was so impressed with all that Jessica does with technology in her classroom and beyond. She makes movies with her student. She has several iBooks and iTunesU courses online that help teachers incorporate technology in the classroom, and she is one of the Jedi Masters at AppsInTheClass.com where Jessica and the other members of the team offer ideas and resources for teachers using iPads in the classroom. 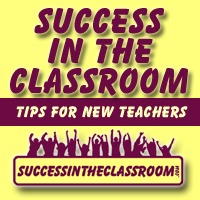 In this episode, Jessica shares her insights about using technology in the classroom, offering some great advice to new teachers who are looking to include more tech in their lessons. Jessica also shares her thoughts about what makes teachers amazing. She says that amazing teachers have visionary passion, extraordinary empathy and teach without limits. She offers great advice to those new teachers who are looking to take risks, but are feeling limited by their desire to meet the expectations of others. 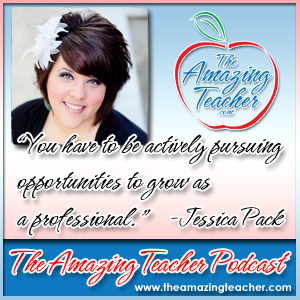 After speaking with Jessica, it’s no wonder why she was recognized as Teacher of the Year. I had an amazing time speaking with Jessica. I know you will find great value in what she has to share. Thank you again for helping spread the word about The Amazing Teacher Podcast!